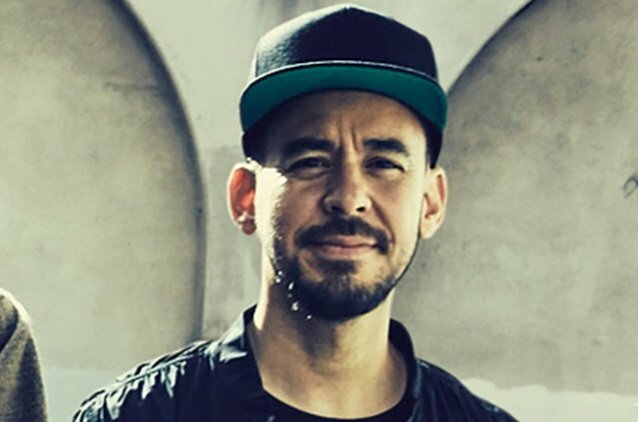 LINKIN PARK vocalist Mike Shinoda spoke to France's United Rock Nations about his recently released solo album, "Post Traumatic". You can now listen to the chat using the SoundCloud widget below. Asked if he will only be playing shows under his own name going forward, Shinoda said: "I don't know. I'm just taking it one step at a time and keeping my mind open to the possibilities — whether it's doing things under my name or working with other artists or producing tracks for somebody else or if the guys are at a point where they wanna play LINKIN PARK shows, I'm sure that any of those things are possibilities and I'm just open to whatever happens. "Right now, honestly, the thing I'm most excited about and I'm focused on most is getting the [solo] live show together and making it the best it can be," he continued. "It's at a good place, and I'm basically doing… I've been doing a one-man show, but I think there's a lot of room to grow and develop it, and I'm excited about continuing to do that. "Part of this is gauging the fanbase and the shows themselves — seeing how this goes, and if it goes well, or we learn anything about how to do the shows, then going forward, that'll be good information to have," Mike added. "Like, for example, right now, some of the shows are during the day, some are at night, some are indoor, some are outdoor, some are really big, some are small, so there's a lot of variety. And as we go, I'm figuring out the best presentation and everything. It's nice, because, having played onstage for so long, I already know a lot about how I like to do things onstage, but the amount of variety and types of shows that I'm doing makes me really excited to get out there and do this." Back in March, Shinoda told Vulture that he still talked to the other guys from LINKIN PARK "pretty regularly. We check in all the time," he said. "We've gotten together and hung out a lot. Once in a while, we play a little bit of music, but there's also a lot of uncertainty there about what to do." Shinoda played his first solo shows since the death of LINKIN PARK singer Chester Bennington on May 12 at the KROQ Weenie Roast in Los Angeles and May 13 at the Identity LA festival, also in L.A. Shinoda mashed up some LINKIN PARK songs along with his solo material, singing some of Chester Bennington's parts from songs like "Bleed It Out". He played "In The End" on piano and let the fans sing most of Chester's vocal parts, though at times he came in and sang his parts.